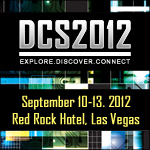 Be eligible to WIN A FREE REGISTRATION – a $1295 Value – to the Debt Connection Symposium & Expo at the Red Rock Hotel in Las Vegas, NV, Sept 10-13, 2012. The National List of Attorneys is having a drawing to give away a FREE Registration to 2 of our followers who will be first-time DCS attendees. In addition to hearing presentations from a high-caliber faculty, a key ingredient of the Debt Connection Symposium & Expo is to have an opportunity to meet peers and other industry professionals, as well as finding new products and services that might make your job easier and more productive. A favorite activity at past conferences has been Speed Networking, where you can meet 45 people in the first 45 minutes. Simply reply below “I want to go to the Debt Connection Symposium!” and you will be entered into the drawing. Two lucky winners will be chosen on August 1st, so Enter Now! You can also enter on LinkedIn, Facebook and Twitter , so check us out on your favorite social media! Good Luck!! I would love to be entered in the drawing..My firm has never attended. “I want to go to the Debt Connection Symposium!” This would be my first time! Looks like wonderful networking opportunities. Thanks. OH!!! Pick Me!!!!! I want to go to the Debt Connection Symposium! Ok, lets face it, I’ll be going anyway, but I’m always willing to see if I can win a registration. I want to go to the debt connection symposium.